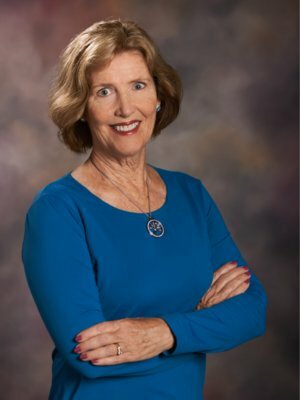 Dr. Pagana has been a leader in healthcare for more than 40 years, with experiences including college teaching, administration, clinical practice, business management, consulting, writing, and professional speaking. She is a Certified Speaking Professional (CSP). Among the 29 books she has written, she has co-authored the number one best-selling book on healthcare diagnostic and laboratory testing. This book (Mosby's Diagnostic and Laboratory Test Reference) has sold almost two million copies and has been translated into seven languages. She began her professional career in the Army Nurse Corps, where she rose to the rank of Captain and combined military protocol with clinical expertise, leadership, teamwork, and patient care. Kathy received her PhD from the University of Pennsylvania in Nursing Research, where she focused on how individuals respond to stress. She created a research instrument that is still in use around the world today. Following completion of her PhD, she became a full professor in the Department of Nursing at Lycoming College and also held positions as Faculty Chairperson and Academic Dean. As the Academic Dean, the most common description of her leadership style was that she combined a broad knowledge base and strong management skills with excellent interpersonal communications. Today she continues to serve Lycoming College as Professor Emeritus, the highest rank awarded to faculty who have advanced the college mission through meritorious teaching, scholarship, and service. Her most prestigious awards include the Army Commendation Medal, a Faculty Award for Teaching Excellence, and numerous accolades recognizing her articles and books. Kathy and her husband, Tim, are the proud parents of 3 daughters. Kathy enjoys swimming, yoga, reading, golfing, weight lifting, running, biking, and competing in sprint triathlons. Working today as an independent author and speaker, her presentations, seminars, and retreats help businesses and not-for-profit organizations address the challenges of leadership. 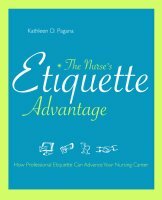 The 2nd edition of The Nurse's Etiquette Advantage: How Professional Etiquette Can Advance Your Nursing Career, was published in 2015 and received an AJN Book of the Year Award. - Use opportunities and positioning to re-energize your career options. - Use etiquette as a navigational device to keep you on track by avoiding delays and blunders. - Utilize the power of passion to create and sustain action as you target your goals. - Explain why you (not just coaches) need to have a game plan. - Determine two ways you can start reinvesting in yourself. - Develop a life balance plan that considers your personal and professional life. - Implement strategies to enhance pride and power. - Identify and avoid 4 common power robbers. - Promote a professional presence with patients and colleagues. - Re-energize your passion for nursing.